Walter Leon and his wife Nelly started as leather artisans 21 years ago. Just after graduating high school they started a family and Walter tought his wife Nelly the art of leathercraft. 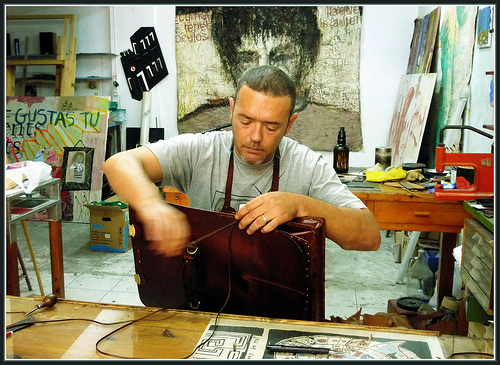 Five years ago living Lima they started producing the leather line of products for Incazteca. Unfortunately, Walter passed away last year of a heart attack on his way to work. Now, Nelly and her son Winder took over the workshop where they focus on producing high quality tooled leather goods. Over the last five years, the Leon family has been able to build their home and Winder has been studying at the University to one day become an accountant. We miss Walter.